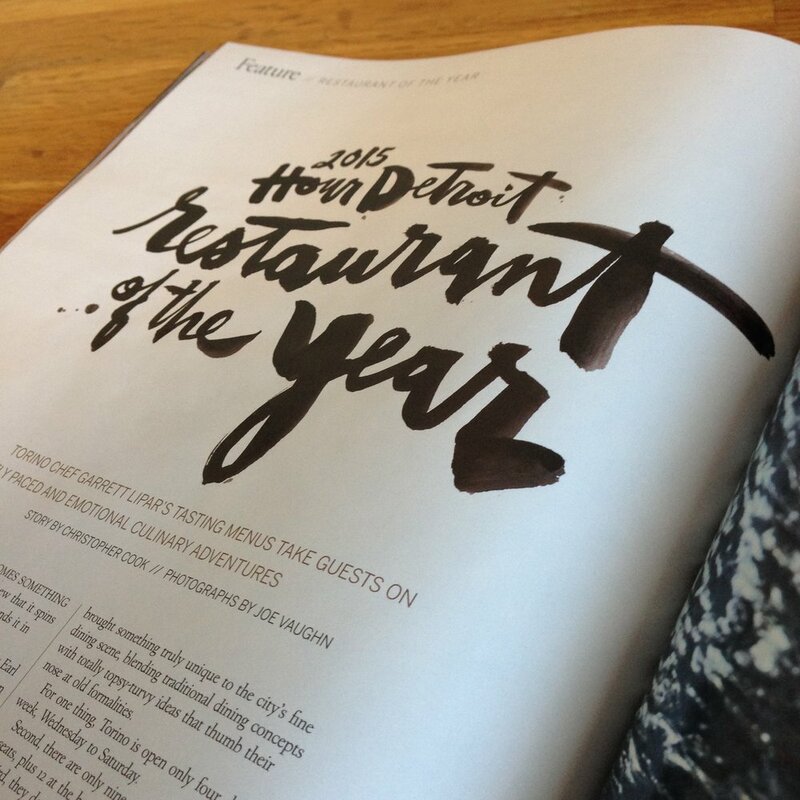 I was asked to create the lettering to convey the feel of the March 2015 issue of Hour Detroit honoring the Restaurant of the Year, Torino Ferndale. My Bold Brush Script was a perfect fit for their bold and unique food artistry. It had been a goal of mine to create work for Hour Detroit for over 20-Years, so the opportunity to letter the feature spread and cover (a fold out, no less!) was a dream realized. 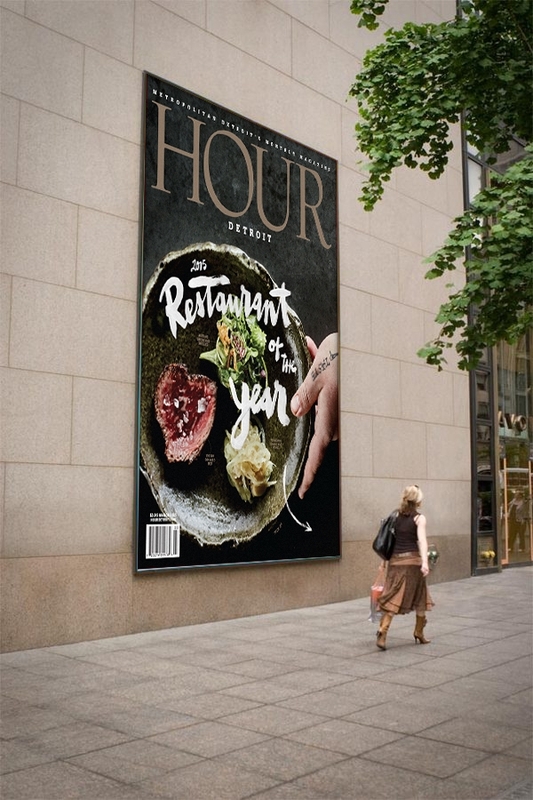 It was a pleasure to work with Valerie Morgan, Hour's Creative Director, on this project. She was extremely responsive and organized throughout the fast turnaround and I can't thank her enough for this dream opportunity. 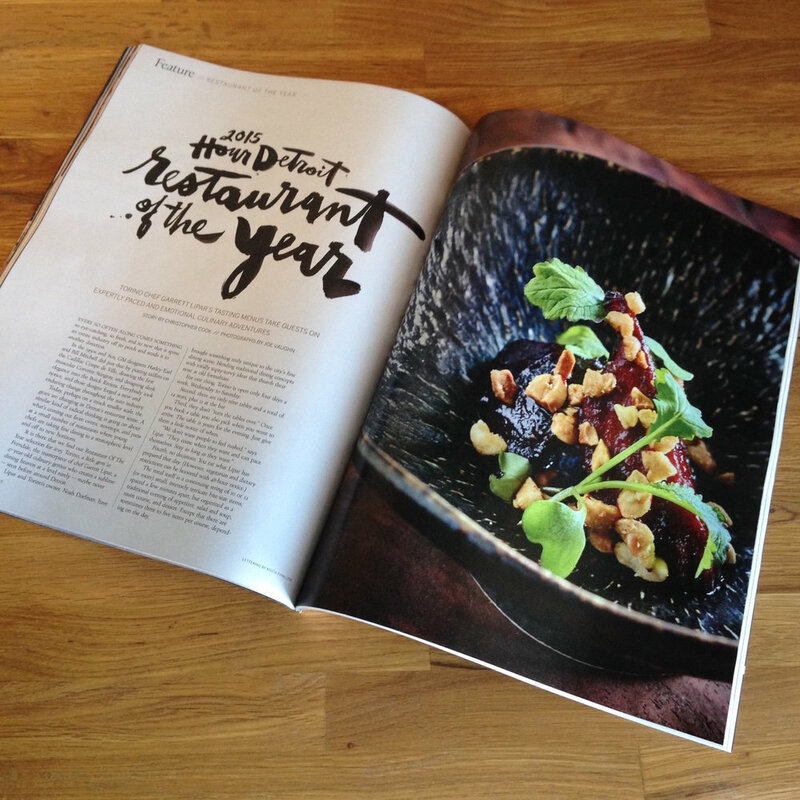 Just over a year later, we were lucky enough to win two awards for this issue! Issuer: Society Of Professional Journalists, Detroit. 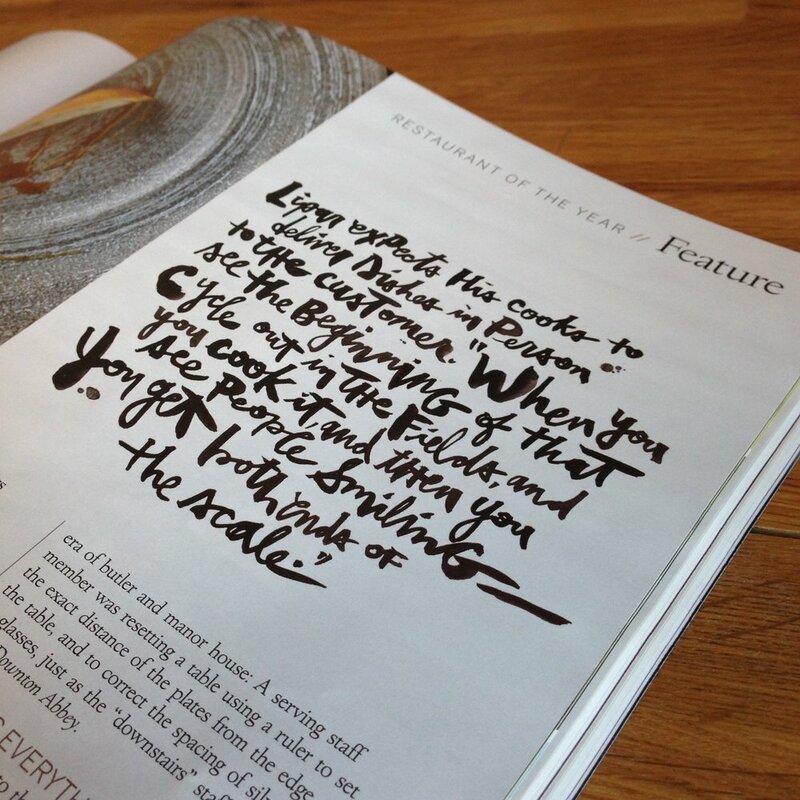 Award Name: Best Magazine Spread for "The Elements of Surprise." Work For: HOUR Detroit Magazine. Award Name: Cover of The Year. Need Bold Brush Script Design?